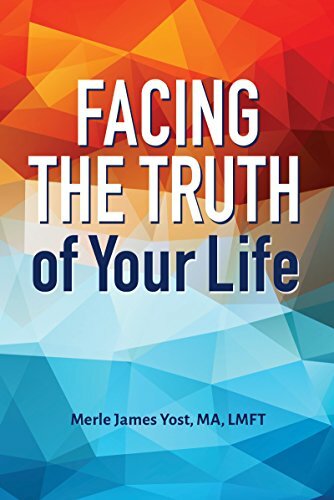 Read Merle Yost, LMFT’s blog, featuring writings and a variety of topics such as family, therapy, relationships, sexual abuse and healing, critiques and more. The average consumer has no idea that there are many forms of psychotherapy. If people treated choosing church like they choose a psychotherapist, they would simply walk into any "church like" building and expect to get what they are looking for. They would assume that all religions are alike and there is only one God to choose from. While it all started with Freud, the path from there has diverged greatly. Many “schools”, or styles of psychotherapy differ from each other, and some don’t even like or respect the other. They have different goals and often use dramatically different methods to obtain the outcomes they promise. Psychoanalysis is a world away from Cognitive Behavioral Therapy (CBT). Somewhere between those two are psychodynamic and humanistic therapies. And there are many varieties of each. In my experience, it is important that a therapist be trained in more than one modality. One size does not fit all. If a therapist is only Analytic or CBT then they do not have the ranges of skills that are really necessary to meet the needs of different clients. At the same time, I feel it is critically important that therapists have a foundation theoretical orientation. When something really strange happens in therapy, and it does on occasion, it is important that a therapist have a firm foundation in some perspective that will guide the patient and the therapist through the process. I have a basic prejudice against a practictioner who might say they are “just eclectic”. That tells me they dabble in this and that theory but do not have a firm grasp of any of them; using what seems to be useful at the time. It is terribly important to know several approaches and at least a couple of them really throughly. When doing other trainings in new approaches, being able to integrate conflicting ideas and concepts is crucial to having a coherent approach to working with clients. I am a Gestalt/EMDR/Transpersonal Therapist. I do body orientated therapy. If the issue is not cleared from the body it is not cleared from the mind. I mix in Self Psychology, Bioenergetic, Ego Psychology, CBT, Psychodynamic, Somatic Experiencing, Life Span Integration, DMNS, and many, many more. Personally, I don't refer to another clinician unless they have EMDR Therapy (short for “eye movement desensitization and reprocessing”) as one of their approaches. I believe it represents a paradigm change in psychotherapy and is an essential tool for helping people. It started as a trauma therapy and has expanded to a full form of psychotherapy. I highly recommend that when choosing a therapist that in their tool box be EMDR Therapy. To learn more about EMDR go to the EMDR International Association Website. While I use CBT as needed, I believe it is counseling rather than psychotherapy. I would encourage you to read my article on the topic: Counseling vs. Psychotherapy. Read this article for another opinion of CBT. Different styles and approaches work for different people. As a Gestaltist, I am more active and engaged with the client. More of me as a person is present in the relationship. While the therapy is about the client, we recognize that who we are impacts the client and the therapy. Some other approaches believe that the therapists should be as invisible as possible so as not to get in the way of the client’s process. So doing some education is important and shopping therapists is key to finding the right fit. People often ask me how to choose a therapist. First, see more than one. Ask them about their approaches and what to expect. Do some education about the different psychotherapies so that you have some basis to understand what they are telling you. Ask people you know in therapy about their experiences. What did they like, not like, etc. It can be very eye opening. There is a big difference between going to deal with a current problematic situation and going to see a therapist for many years to resolve long standing family and or emotional issues. As you start to see a therapist, your goals will possibly change as you gain insight into your own process. I believe that in the course of meeting the therapist and getting a feel for them, that while theoretical orientation is important, it is necessary that you have a deep intuitive trust for the person you are working with. If that is not in place, it is much less likely to be a successful therapy.